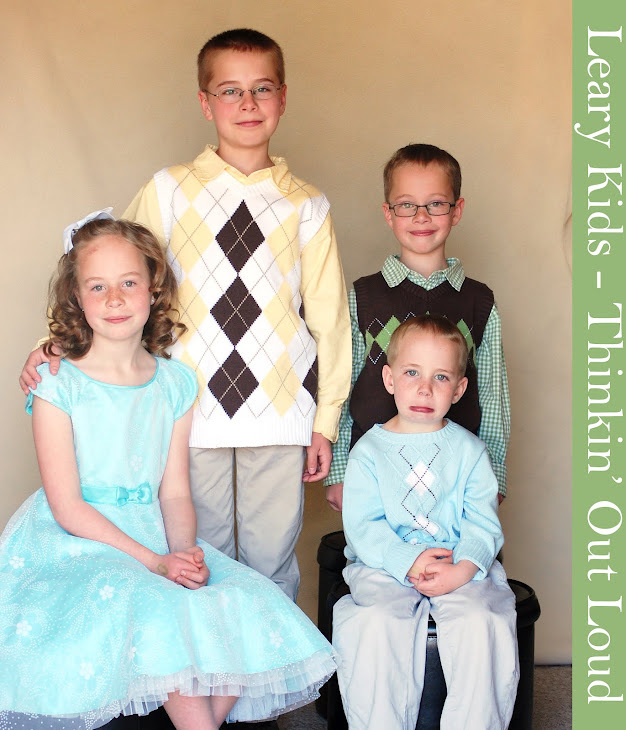 Leary Kids - Thinkin' Out Loud: Gord or Gourd? I was watching "Veggie Tales" with Gordon. There is a part called "Silly Songs with Larry" that would be the intermission of the movie. The song was "High Silk Hat". A big squash sat down on Larry's hat and squashed it. Gordon was asking me about it. I told him, "A gourd sat down on his hat and smashed it." With tears in his eyes, Gordon said, "Yeah...that was me."